Invent your ideal make-up for lips beauty. Everyone would agree that lips are a beauty statement. The way women beautify and make-up lips says a lot about themselves. Neutral, glossy, bright or dark… lips express our personality or our mood. They provoke emotions and have strong evocation powers. Women play with colors, textures, shines and the possibilities they have to make-up their lips are numerous. It goes from very subtle and discreet lips underlying to the whole transformation of the mouth and even of the face. Our sponsor, an international Beauty & Couture luxury brand, wants to revolutionize the way women make their lips look beautiful and push the boundaries of lips make-up. Do you want to find new ways to please women and their unquenchable thirst for innovative, disruptive and quality beauty products? Do you have ideas to make their lips look the way they want? 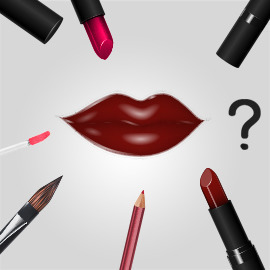 Invent a new and disruptive lips product, package and gesture to please women who want to have beautiful lips and look for out-of-the-box solutions. Entries will be accepted till July 10, 2016 23:59 UTC !